I read this over my early morning tea and ugly cried. 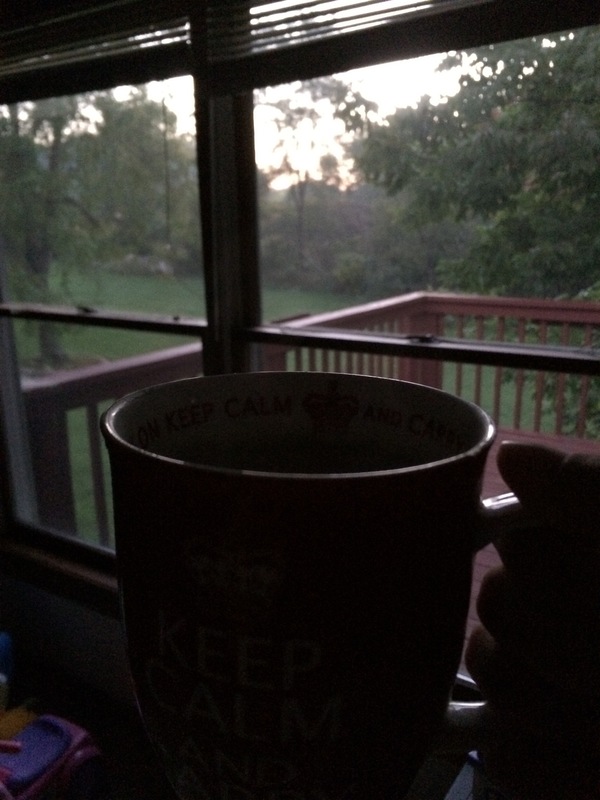 There is something very calming about reading poignant things and sipping tea before the sun comes up. Even if they’re sad, it’s like you need them to put everything in perspective for the day ahead. Reading Charley’s story broke my heart. How brave and courageous do you have to be to write something like that and what a legacy to leave behind. I hope she’s enjoying those chocolates and that piña colada. Sometimes a good cry before sunrise is just what you need, followed by a laughter filled conversation with your husband as he settles in to his hotel room after a long night away. I went from ugly crying to snort-laughing at him. I’m lucky to have him for comic relief. Yesterday I picked up my niece and nephew from school. They informed me that they had been extra good at school and needed a treat. I confirmed with their teacher that, indeed, they had been extra good. 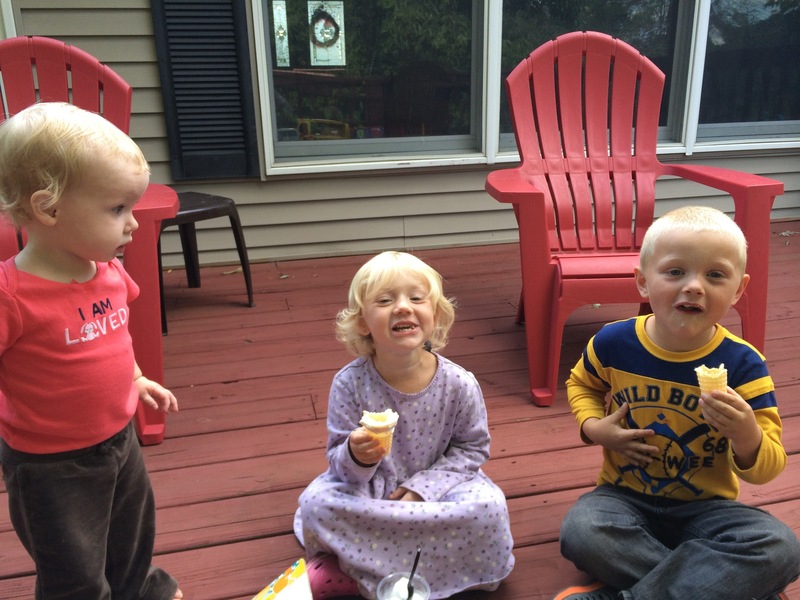 On the way home we got ice cream to eat on the back deck. After wrangling 3 kids all evening, I’ve decided that I deserve a pedicure soon. Their rationale makes sense to me. 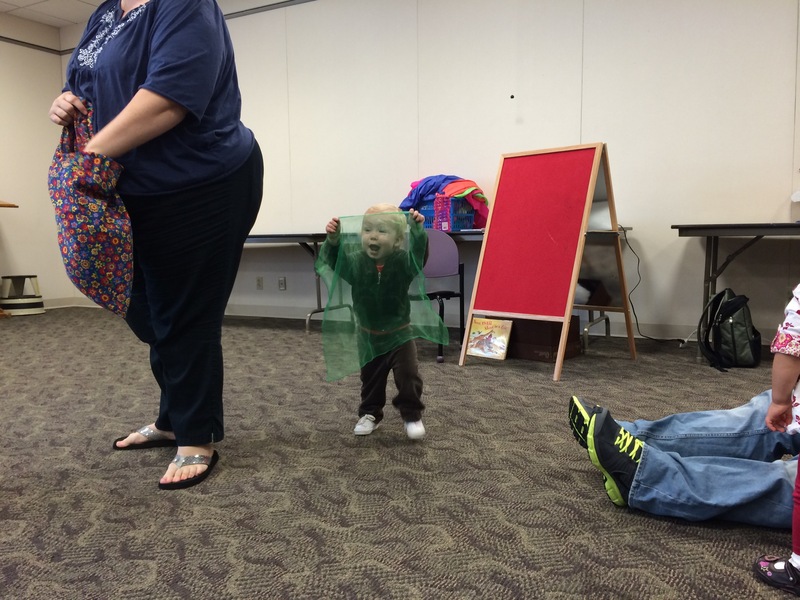 Yesterday morning I met our friends and their son at Toddler Time at the local library. It was a crazy good time if you like to do the hokey pokey and play with scarves. 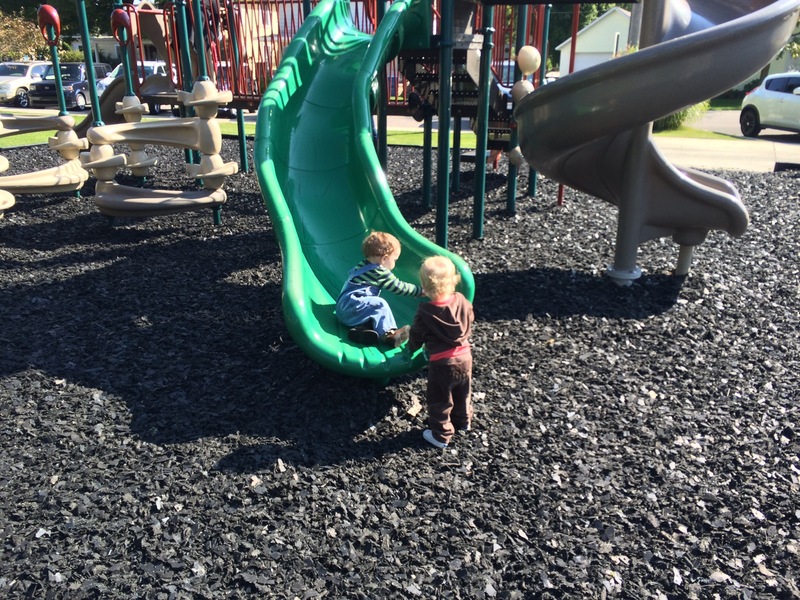 Afterwards, we played on the playground. I’m considering that my workout for yesterday. Saving her from various dangers such as climbing up the slide backwards and catching her right before she hits the ground, chasing her and grabbing her before she runs into traffic, stopping her from drinking someone else’s sippy cup full of who knows what.. Well that, friends, is a workout. I came home and stripped. I had visible sweat marks all over my clothes. Toddler Time is really cardio with stinky diapers. Matt is marking up soon, which means bye bye training pay, hello railroad money. Our friends that met us for Toddler Time are in the same training program that Matt is, and we were talking about what we’re doing when they mark up. I thought I was the only one who had already made lists and spent the $ before it even came rolling in. Nope. My friend made me double over laughing when she did the hand signals for “making it rain” and said “Target!” I feel ya, sister. At the top of my list is a new car. We’re a one car family in a two car place. I can’t wait to get a mama mobile. I called and rescheduled my early morning chiropractor appointment because I’m a laundry slacker and we have no underwear clean. I’ll get on that sometime this morning. I’m currently trying to decide whether to go back to sleep or get up and shower. Sleep may win. Yesterday was a great day in terms of tracking points. I forgot how hard it is to budget your points evenly enough to feel satisfied throughout the day. It’s going to take some tweaking, but I feel good about it. I’m not making big elaborate meals. Just simple stuff because that’s what I did before and it worked. Chugging along, and thanks to all of you chugging along with me for all of these years. This entry was posted in Uncategorized and tagged charley, family, life, love, momastery, motherhood, weight gain, weight loss. Bookmark the permalink. I was ugly crying right there with you. That was amazing and heartbreaking. Congrats on things moving in such positive directions! Yay for money! Your husband and I actually work at the same company so I know he’s going to enjoy the great benefits and perks. 🙂 And running after a toddler definitely counts as cardio.